During court sittings, a diverse group of people will meet in the courtroom. Some are professional staff; others are called in as lay judges; still others are witnesses, parties or defendants. 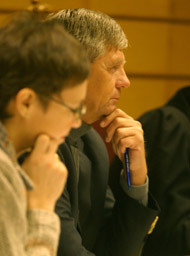 During court sittings, a diverse group of people will meet in the courtroom. Some are professional staff; others are called in as lay judges; still others are witnesses, parties or defendants. The gallery of people may vary from case to case. Everyone has their place in the courtroom, and for the court they are all important participants. For the person attending a court sitting for the first time, the courtroom and its participants may seem unfamiliar. In the menu at the left, you can find more detailed information about the court participants and the role each individual plays in the case. In the Court of Appeal, with a few exceptions, the court sits with three professional judges. One of the judges is appointed as the presiding judge for the individual case. He or she controls the proceedings in the court. Court of Appeal judges must be at least 25 and have a law degree [juridisk embetseksamen]. Section 55 of the Act relating to the courts of justice (domstolloven) states that persons to be appointed as judges should satisfy stringent requirements for professional qualifications and personal characteristics. Judges should be recruited from lawyers with a variety of professional backgrounds. Court of Appeal judges are appointed in the Council of State, and as senior government officials they have special security of tenure. This helps to ensure the independence of the courts. In the Frostating Court of Appeal, there are at present 18 permanently appointed Court of Appeal judges. If there is a temporary requirement, acting Court of Appeal judges may be appointed for a stipulated short period. An acting Court of Appeal judge has the same legal position as an appointed judge, but only for the period that the temporary appointment lasts. To meet the need for professional judges in court, Court of Appeal judges who serve at the call of the court and extraordinarily appointed Court of Appeal judges may be appointed for an individual case. Judges who serve at the call of the Court are permanent judges serving at other courts, usually the district courts. Extraordinarily appointed judges are retired lawyers, usually judges, who after being appointed can serve in the courts until they reach the age of 73. Judges who serve at the call of the court and extraordinarily appointed judges may not be appointed as the presiding judge. Under related information on the right, you will find a link to staff at the Frostating Court of Appeal, which provides information about the judges and their professional background. 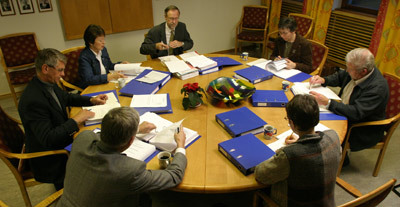 Lay judges are drawn by lot for the individual case on the basis of lists of people designated by the municipal council after each municipal election. The term of office is four years. When the Court of Appeal is to determine the question of guilt in a criminal case the court is to sit with five lay judges. In some civil cases, too, the Court of Appeal may sit with lay judges, possibly in combination with expert lay judges. The lay judges have the same responsibility and authority as the professional judges, and are bound in the same way as the professional judges by the legal rules that apply in the area. Service as a lay judge is therefore – as for professional judges – a serious and responsible social duty. For lay judges, the same rules on impartiality apply as for professional judges. It is therefore important for lay judges who have been drawn by lot for a case to notify the court as soon as possible if any issues such as kinship, relationships by marriage, friendship, business connections or other matters could cast doubt on their impartiality. This applies as a basic principle in relation to everybody who takes part in the case. A lay judge who is drawn by lot to serve in a case may apply for exemption from service, but the conditions for exemption are extremely strict. A link to more detailed information about conditions for exemption appears below «Related information» on the right. A lay judge who has been drawn by lot and who has not been exempted from service is obliged to attend the court hearing. Alternate (substitute) lay judges who have been drawn by lot do not usually have an obligation to attend unless they have received a specific order to attend, but must ensure that they are available at short notice. Lay judges are entitled to cover their loss of earnings, which must then be documented. Lay judges are also entitled to reimbursement for travel expenses and a daily subsistence allowance. A link to more detailed information about the allowance and travel expense report appears under «Related information» on the right. In many cases, the court will need expertise in particular subject areas. The court may then sit with expert lay judges. These are people who have expertise within various fields, such as psychology, economics, or construction. 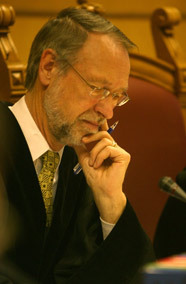 Expert lay judges may be appointed in both civil disputes and criminal cases. Expert lay judges are appointed for the individual case. 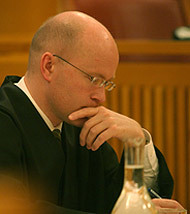 In certain cases, the court must sit with both expert lay judges and «regular» lay judges. It is usually parties to the case who apply for appointment of expert lay judges, but the court may also appoint expert lay judges on its own initiative. In certain subject areas, in accordance with Section 72 of the Courts of Law Act, expert lay judges are appointed from the panels of expert lay judges within particular subject areas. Expert lay judges are often appointed from outside these panels. Expert lay judges naturally make a special contribution with their particular expertise, but in other respects they have the same authority and responsibility as the professional judges in the case. For expert lay judges, the same rules on impartiality apply as for professional judges. It is therefore important for lay judges who have been drawn for a case to notify the court as soon as possible if any issues such as kinship, relationships by marriage, friendship, business connections or other matters could cast doubt on their impartiality. This applies in relation to everybody who takes part in the case. Expert lay judges are entitled to an allowance, currently NOK 1000 per day, or to cover their loss of earnings, which must then be documented. Expert lay judges are also entitled to reimbursement for travel expenses and a daily subsistence allowance. A link to more detailed information in Norwegian about the allowance and travel expense report appears under «Related information» on the right. The duty of the keeper of the records is to make the court record of the proceedings in the court, according to the instructions from the presiding judge, and to perform other tasks as required. The keeper of the records is not a member of the court. If the court has no court usher (bailiff), the keeper of the records takes over some of the court usher’s duties related to the practical implementation of the case. In these cases, claims for allowances, loss of earnings, and travel expenses can be addressed to the keeper of the records. It is not unusual for an appeal hearing to be conducted without a specific keeper of the records, and one of the professional judges must then take charge of keeping the court record. In larger cases – especially criminal cases – a uniformed court usher takes part. He or she is usually positioned close to the entrance to the courtroom. The court usher assists the court and the other participants with practical tasks during the proceedings. Claims for allowances, reimbursement for expenses, travel expense reports and the like can also in principle be addressed to the court usher. The court usher takes care of witnesses and shows them to the witness box when they are called. It is also the court usher who helps the Press and the public to find seats. In the rarer cases in which it might become necessary, the court usher may reprimand – or, in accordance with orders from the presiding judge, exclude – members of the public. As a rule, retired police officers serve as court ushers in the Frostating Court of Appeal. When the court needs insight into a question in a specialized field, the court may appoint one or more experts in the case. There are no restrictions on the expert’s field of expertise, or the degree of specialization within this field. The expert makes special competence available to the court, which would otherwise have been inaccessible or difficult for the court to obtain. The expert is often appointed according to a proposal from the parties in the case, but the court may also appoint an expert on its own initiative. At the same time as the appointment, the court draws up the terms of reference for the expert’s task. An expert often presents a written statement, and he or she follows the proceedings and provides an explanation to the court. The expert’s role is limited to the presentation of evidence for the court, and he or she does not take part during the court’s deliberations when the case has been closed for judgement. The expert represents only himself or herself. The rules about impartiality apply to the expert. It is therefore important for the expert to notify the court if there are any circumstances which might cast doubt upon the impartiality of the expert. Experts are entitled to an allowance for their work as well as reimbursement of travel expenses and a subsistence allowance. A link to more detailed information in Norwegian about the allowance and travel expense report appears under «Related information» on the right. We live in an increasingly international society, and today it is not unusual to see one or more interpreters in court. As a basic principle, an interpreter is appointed if a party, defendant or witness cannot speak Norwegian or is mute or deaf. The cost of the interpreter is covered – with a few exceptions – by the government. Interpreters are appointed by the court. No educational requirements apply to court interpreters, but an authorization scheme has been established to ensure professional standards and qualifications. The rules about impartiality apply to interpreters. It is therefore important for the interpreter to notify the court if there are any circumstances which might cast doubt upon the impartiality of the interpreter. Interpreters are entitled to an allowance for their work as well as reinvestment of travel expenses and a subsistence allowance. A link to more detailed information in Norwegian about the allowance and travel expense report appears under «Related information» on the right. Counsel, prosecutor, defence lawyer, etc. In civil cases, it is customary for the parties to be assisted by advocates. These are often referred to as counsel, and have been authorized to represent the party during the court proceedings. The counsel’s responsibility is to prepare the case for the party he or she is representing as well as – during the main hearing – to take charge of the opening speech, presentation of evidence and closing statement. In criminal cases, the public prosecuting authority is represented by a prosecutor, while the defendant is assisted by an advocate in most cases, who is called the defence counsel in criminal cases. In most criminal cases, the court appoints the defence counsel for the defendant at the expense of the state. In criminal cases, it is the prosecutor who presents an account of the case, while both the prosecutor and the defence counsel participate during the presentation of evidence and argument. In certain serious criminal cases, legal counsel is appointed for the aggrieved/injured party in the case. The legal counsel’s responsibility is to take care of the interests of the aggrieved party in connection with investigation in the case and during the court proceedings. The counsel has the right to be present when statements are taken by the police and during the main proceedings. The counsel for the aggrieved party has the right to ask the aggrieved party questions, and also has the right to object to questions that are not relevant to the case or that are asked in an improper way. It is also customary for the counsel for the aggrieved party to make a claim for damages for non-economic loss/compensatory damages on behalf of the aggrieved party. The counsel, prosecutor, defence counsel and legal counsel for the aggrieved party all play an important role in court. Norwegian law is based on the adversarial principle: The case must be explored from all sides before a decision is made. The professional representatives for the parties are spokesmen for the party they represent, and contribute to the protection of the law and effective administration of justice. Advocates must not identify themselves with their clients, and are entitled not to be identified with their clients. The aggrieved party is the term for the party injured by the criminal act. The aggrieved party may be an individual or a company or other organization. During court sittings, the aggrieved party has the status of a witness in the case, with the rights and obligations applicable to witnesses. Nobody can be a judge in a case in which he or she was a victim of the criminal act, or is closely related to the victim through kinship, relationships by marriage, friendship or the like. The more detailed rules about impartiality are described in Sections 106 to 108 of the Courts of Law Act (domstolloven). In certain serious criminal cases, legal counsel is appointed for the aggrieved party in the case at the expense of the state. The legal counsel’s responsibility is to take care of the interests of the aggrieved party in connection with investigation in the case and during the court proceedings. The counsel has the right to be present when statements are taken by the police and during the main proceedings. The counsel for the aggrieved party has the right to ask the aggrieved party questions, and also has the right to object to questions that are not relevant to the case or that are asked in an improper way. It is also customary for the counsel for the aggrieved party to make a claim for damages for non-economic loss/compensatory damages on behalf of the aggrieved party. Parties to civil cases may be one or more individuals or organizations (a company, foundation, association, etc.). The question of who can represent the party is especially relevant for organizations. As a party, one always has the right to attend the appeal hearing, and may also be instructed to attend. Parties make statements under the same strict responsibility as witnesses. Before the party or representative of the party makes a statement, he or she must make an affirmation to the court. In practice, all parties involved in a Court of Appeal case are assisted by an advocate, or counsel. The party’s role is then limited to making a statement in the case. A case is often very important to the parties, and can trigger strong involvement. For the progress and clarification of the case, it is however important that the parties respect the instructions given by the presiding judge. A party is entitled to be treated with respect by the court and the other participants, and is expected to show respect in return. To be a defendant means that the public prosecuting authority believes that the person in question has committed a criminal act on which the court should pass judgement. Everyone has the right to be regarded as innocent until judgement has been delivered in the case. A defendant is entitled to be treated with respect by the members of the court and the other participants in the case. The case itself must also be treated with respect. This does not however exclude the possibility of critical and persistent questions to a defendant who chooses to give evidence. Just as the defendant is entitled to respect, the court expects defendants to respect the court and the other participants in the case. A defendant always has the right to the assistance of a defence counsel. In most criminal cases the defendants shall have defence counsel, appointed by the court and pay by the State. A defendant in a criminal case has the right, but not the duty, to give evidence. If the defendant chooses to give evidence, he or she shall be encouraged to tell the truth. The evidence is usually given after the prosecutor’s opening speech. Most defendants choose to give evidence. A defendant has the right to comment on statements made by witnesses and the presentation of evidence in other respects as the case progresses. If this is relevant, a request to comment is made to the court through the defence counsel. The defendant shall have the opportunity to make a statement before the case is closed for judgement. The defendant cannot claim loss of earnings or travel expenses. A defendant who has limited means can however apply for reimbursement of the costs necessary to attend in court and follow the proceedings. The defence counsel can provide more detailed information about this. A witness provides important evidence in both civil disputes and criminal cases, and in some cases a witness’s evidence can decide a case. A witness therefore has a very strong obligation to tell the truth. Before witnesses give evidence, in most cases they must give a formal affirmation that they will tell the truth. Witnesses are usually called at the request of one of the parties in the case. The witness is however not a «witness for the party», but for the court. Usually, a witness may not follow the proceedings before he or she has given evidence to the court. When the witness enters the courtroom, he or she is shown to the witness box. After providing information about their personal details, their relationship to the parties in the case, etc., witnesses are questioned by counsel – in criminal cases, by the prosecutor and the defence counsel – and by the members of the court. A witness also has a duty to provide information about matters that he or she understands are relevant to the case, even if the witness is not asked. Certain witnesses may have a duty of secrecy that prevents them from giving evidence, or may be fully or partly exempted from the obligation to give evidence due to kinship or similar. A witness who is in doubt about his or her duty to give evidence can ask the presiding judge for more detailed guidance about these issues. 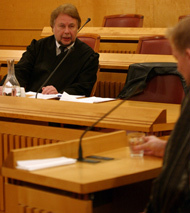 The court and the other participants in the case try to adapt the schedule so that there is as little waiting time for the witnesses as possible, but it is unfortunately not always possible to avoid waiting time. Witnesses are entitled to reimbursement for loss of earnings, which must be documented, as well as reimbursement of travel expenses and a subsistence allowance. In cases where there is a court usher, the court usher will help with this. Otherwise, witnesses must contact the court staff about payment of their expenses.